Western Bottle News: CONNELL'S MOONPLANT ! The Moonplant is truly a western bottle anomaly in many ways. It reminds me of the Bitter Witch only in a more bizarre way. 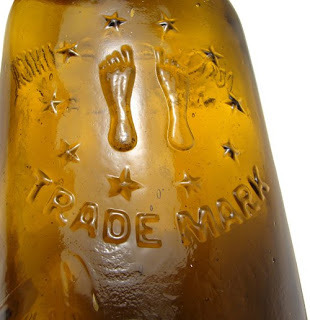 Of all the oddities of this bottle to ponder the main question in my mind remains ...Why feet? I have your magnifying glass loop, that you left at the Anderson bottle show. Get in touch with me. 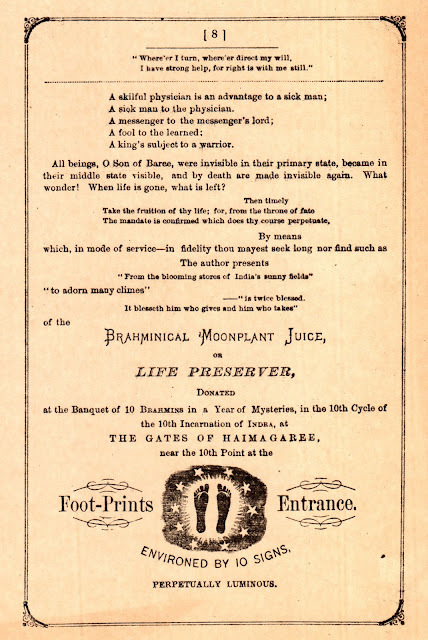 There is a 48 page booklet at the Stanford University Library that can be viewed online published by Connell's Brahminical Moonplant East India Remedies in 1873. "At the banquet of the 10 Brahmans, in a year of mysteries, in the 10th cycle of the 10th incarnation of Indra, at the Gates of Haimagaree, near the 10th point footprints entrance environed by 10 signs perpetually luminous". "Drink of the Moon Plant". I am enlightened now. Thanks for the reference Warren! Eric.... 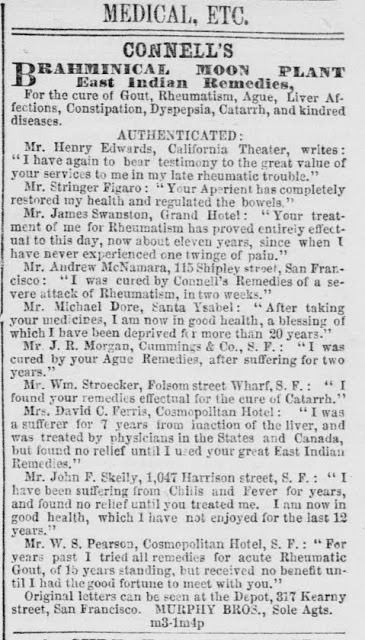 Please, please write a book on Western meds. I think it would be one of the best Western bottle books ever written. You have soooo much great info that no one has ever seen or heard of !